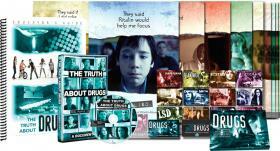 Drug Free World UK is committed to respecting and ensuring the privacy of all the users of this website. By using this website, you consent to the terms of this Privacy Notice. 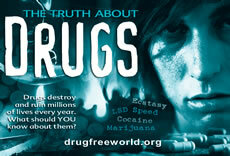 Drug Free World UK may change the terms of this Notice and these Policies from time to time. If such changes are made, we will promptly place notices on all the websites so that you can be aware of those changes. Your continued use of this will mean that you accept those changes, and will be on the terms of this Privacy Notice and those Privacy Policies, as amended from time to time. We do not collect personal information (such as your name, address, phone number or e-mail address, or other personal details) on the website unless you choose to provide them. For example, where you express an interest in joining or donating to one of our organisations, subscribe to our email updates, or buy a book or CD or DVD, we will often provide you with an online form that you can fill in and submit online. In all these cases, we will inform you of the purpose of the form (unless that is obvious) and provide you with options as concerns the uses of the data (see below: “Your Rights: Right to object“). We only collect personal information that is relevant and adequate and not excessive for the purposes in question. Our web servers create anonymous logs during user visits to the website, which are used by us to create aggregate statistics, for example about when the website is accessed, the pages which refer visitors to the website, the type of web browsers visitors use and which pages are viewed. These statistics help us understand how the website is used and provide us with valuable information for improving it in the future. In this, we use both our own “cookies” and a special tool, Google Analytics, as described below. Our website uses Google Analytics, a web analytics service provided by Google, Inc. (“Google”). Google Analytics uses “cookies” to help the website analyze how users use the site (as described above). The information generated by the Google Analytics cookie about your use of the website will be transmitted to and stored by Google on servers. Google will use this information for the purpose of evaluating your use of the website, compiling reports on website activity for website operators such as us, and providing other services relating to website activity and internet usage. Google may also transfer this information to third parties where required to do so by law, or where such third parties process the information on Google’s behalf. This website is hosted by a third party service provider and therefore any personal details you submit through this website may be processed by such a third party service provider. We may also use other third parties to process some of your personal details, for example to send you books or other goods you have ordered (so-called “fulfilment”). All of these third party services providers will process your personal information only on our behalf and will be bound by strict confidentiality conditions. You have a right of access to any personal information that we collect about you on this website and that is retrievable from this website by reference to you personally.